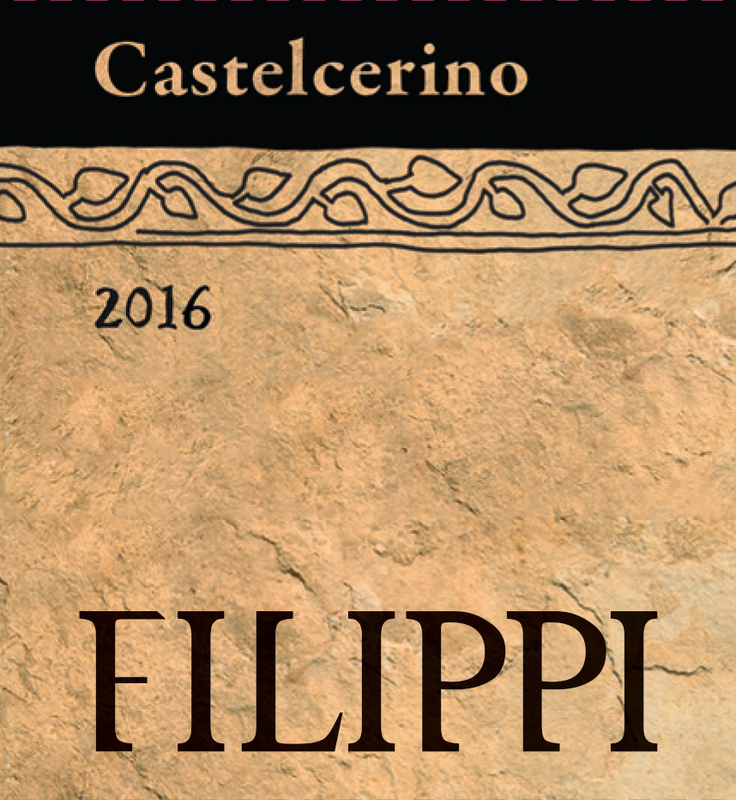 The Filippi family has a longstanding relationship with their historic property in the Colli Scaligeri as it is since 1300 they have settled here, formally beginning wine production around 1900. 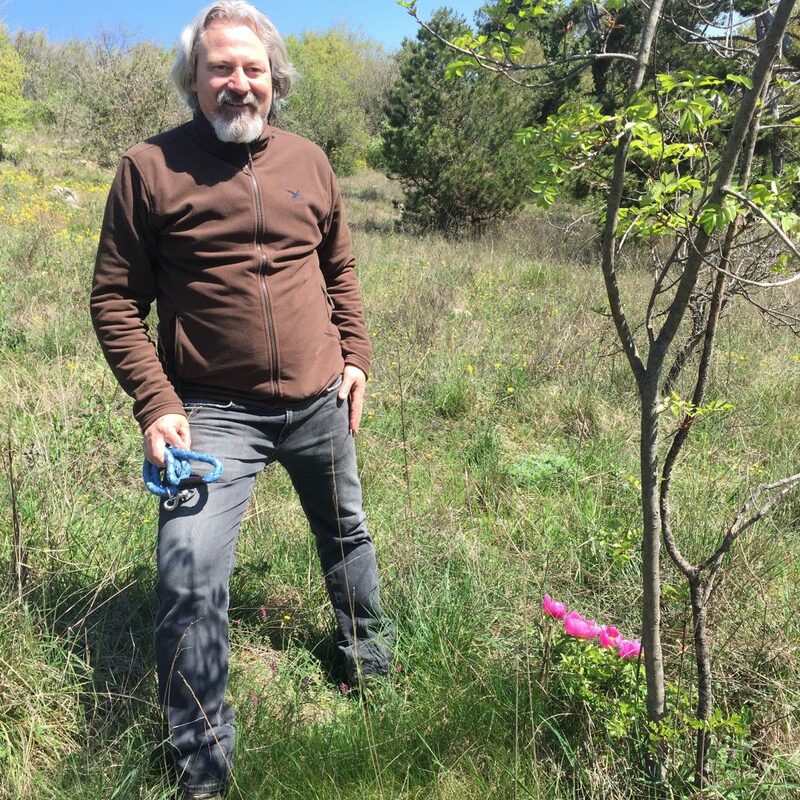 Towering above the valley just fifteen kilometers east of Verona at 400 meters above sea level, Filippo Filippi is the current family member/proprietor of the domain who cares for the secluded vineyards and woodlands that comprise this tranquil place. 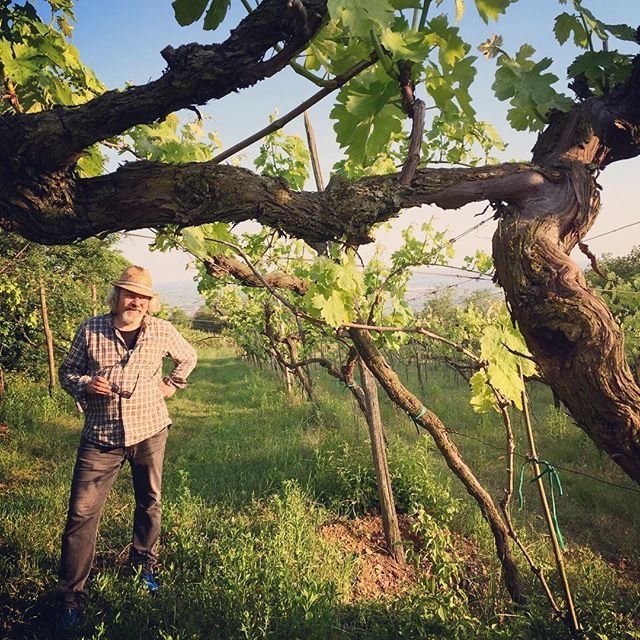 He is very much a lone wolf in the way that he goes about expressing the distinctive terroir of this land, opting to make wines that embody principles of organic certification, old vines, and low yields in a region that reports some of Italy’s most sizable and unmemorable wine production. 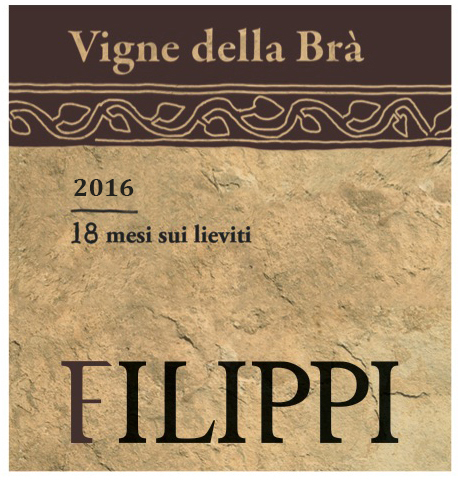 For this, Filippo strives to make wines that identify more with the terrain rather than DOC Soave. 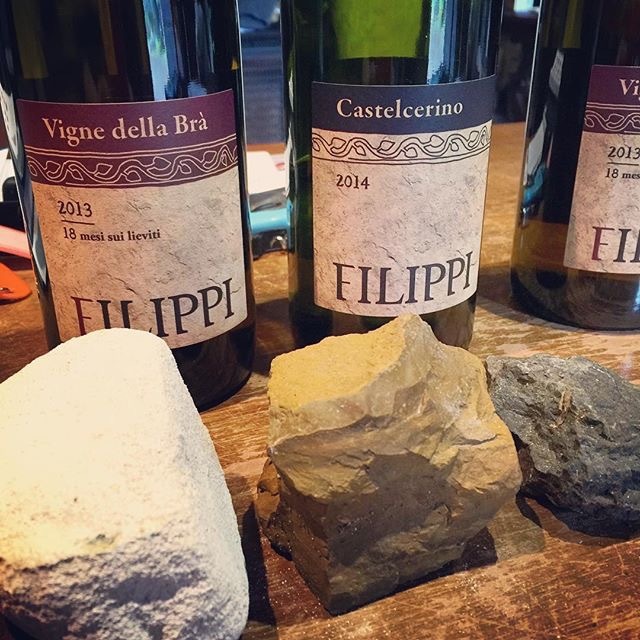 Filippi’s well-ventilated vineyards vary considerably in composition, including soils of basalt, limestone, sand, and clay in the property’s five parcels: Castelcerino, Vigna della Brà, Monteseroni, Turbiana, and Calprea. Here he cultivates mainly the indigenous Garganega variety in addition to small amounts of Trebbiano, Chardonnay, and Merlot. 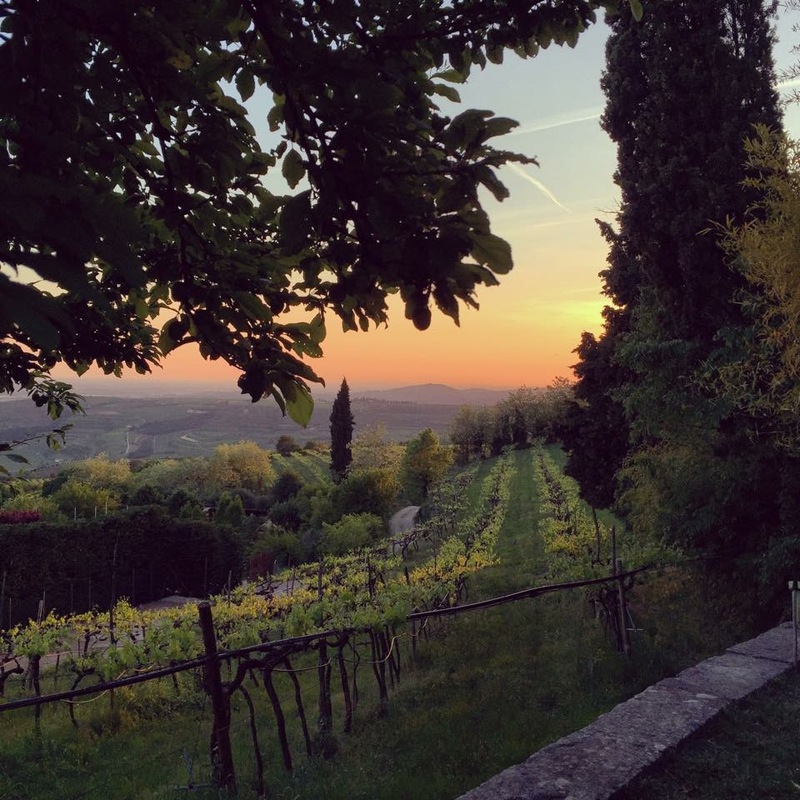 The scarce quantity of Amarone produced by Cantina Filippi—only in good vintages—hails from half a hectare vineyard in Valpolicella that Filippo rents and cultivates. 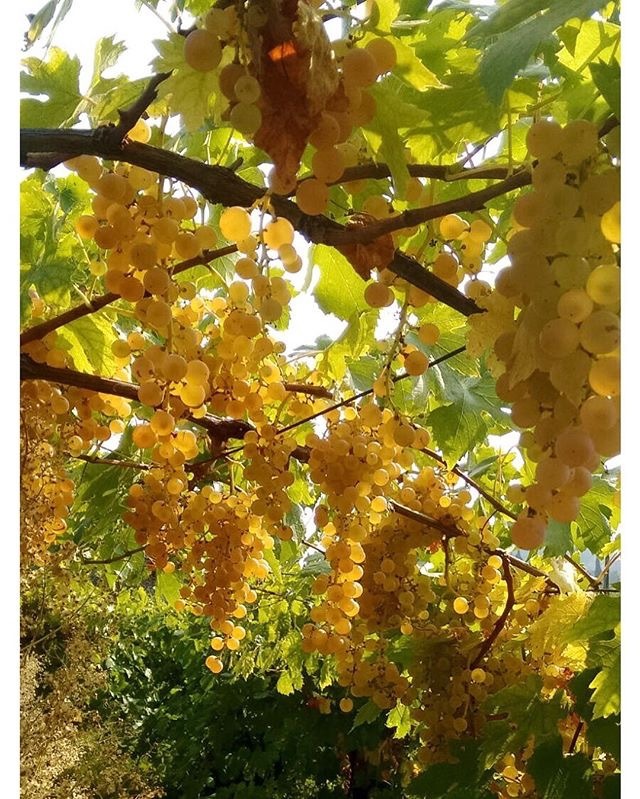 In many of the region’s surrounding vineyards, pergola-trained vines are not an uncommon sight. 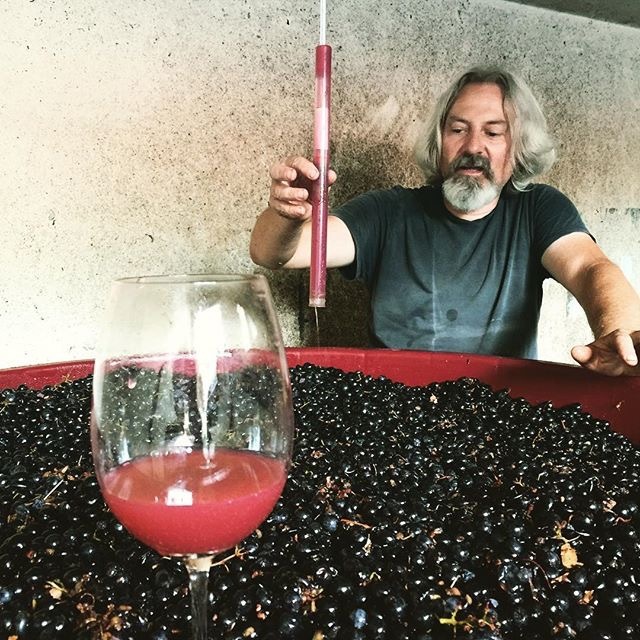 Filippo has introduced Guyot in some of his sites, nodding instead to Burgundy as a way of experimenting outside the local tradition. In the same way, the vinification room is outfitted with some winemaking advancements such as gravity-fed/temperature-controlled stainless steel vats, although it maintains some old world aspects as well. 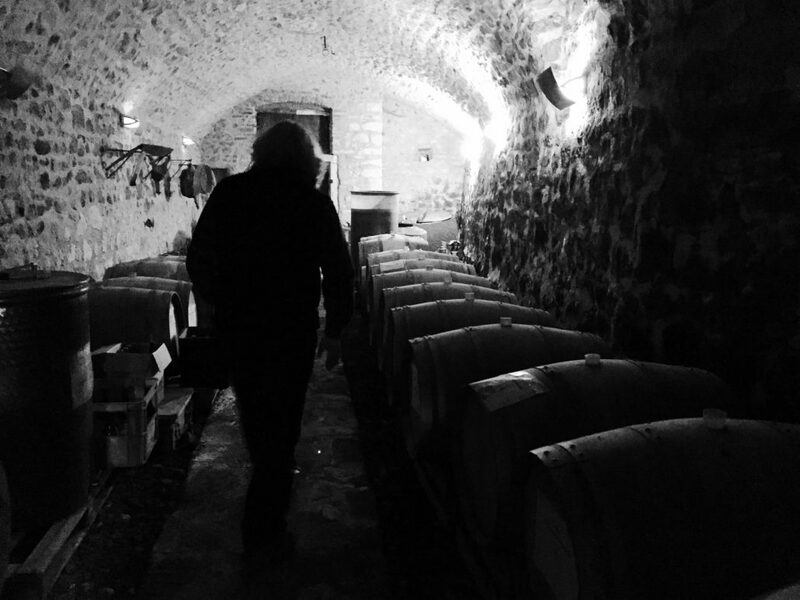 The small aging room in which the wooden casks are held, for example, is characterized by its appreciably thick walls made of stone, allowing for the wines to experience natural temperature shifts throughout the year rather than modern climate control. 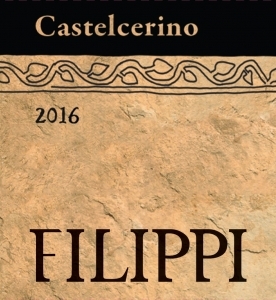 The result is Filippi’s vision that embraces minimal technology in the vineyard and cellar to produce wines of typicity and character with results that far exceed his peers. 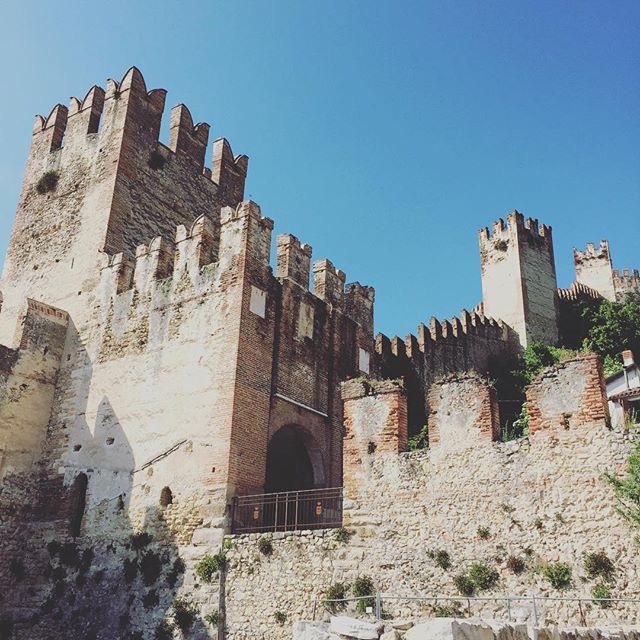 DOC Soave “Castelcerino”: Unlike like many other examples of Soave, Castelcerino is based on only the native Garganega varietal from two southeast exposed parcels at 320 meters of volcanic soils. Fermented and elevated in 100HL stainless steel vats, this wine remains on its lees for a varying number of months depending on the vintage. During this period the wine decants naturally and undergoes no filtration before bottling. 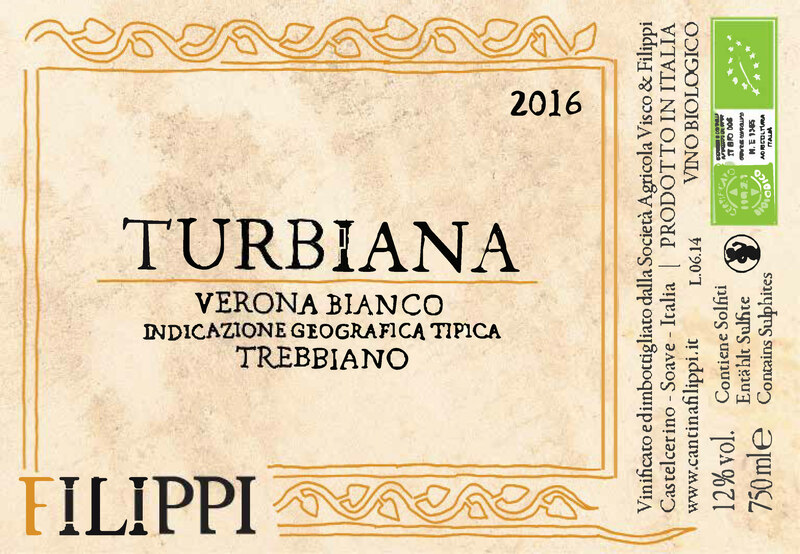 Flavorful and inviting, this Veneto white shows notes of almonds, anise, and white grapefruit with a smooth texture and lingering finish. 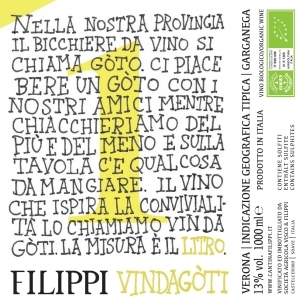 Filippo recommends this wine mainly with fish and shellfish dishes although it has enough character and spice to stand up to various ethnic cuisines. DOC Soave “Vigne della Bra”: Originating from a southwestern-exposed 60-70 year-old vineyard at 380 meters, the soils here are a clay/sand blend with some basalt and limestone. This cuvée is comprised of 100% Garganega, fermented and elevated together in 100HL stainless steel vats. Vigna della Bra shows enticing aromas that are rather similar to Castelcerino but slightly more refined and mineral-driven on the palate. 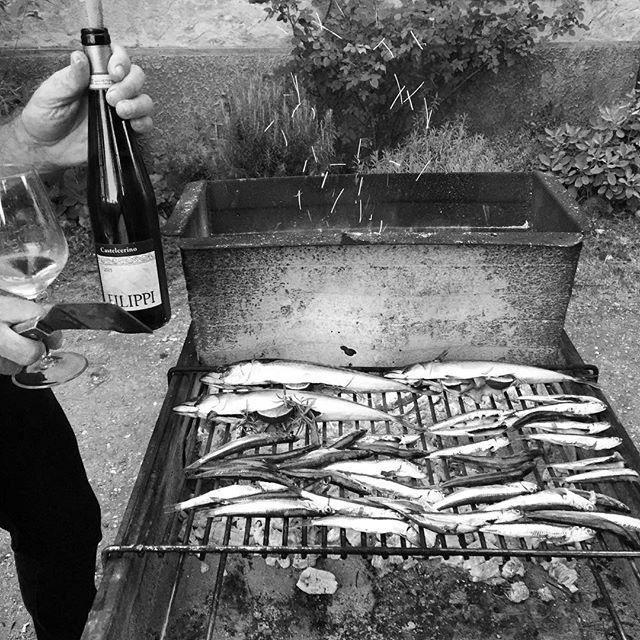 Like Filippo says, pair with all kinds of seafood. 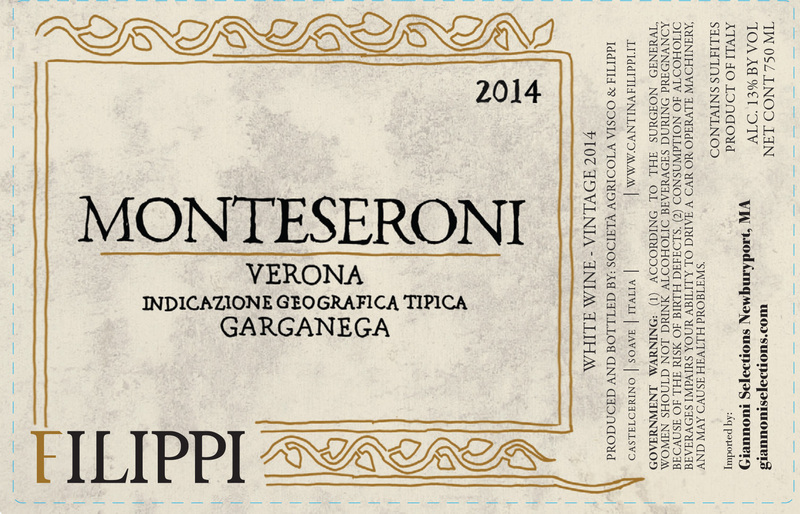 Monteseroni IGT Veneto: A very limited production white that is based on 100% Garganega that comes from Filippi’s warmest site, his south-exposed Monteseroni vineyard at 350 meters. Consisting mostly of calcareous soils, this parcel is named after the dialect referring to wild roosters that used to inhabit the mountainous terrain. The resulting golden-hued wine is fermented and elevated in stainless steel, resting for a minimum of six months on the fine lees before bottling and release. Its aromatics are somewhat shy, requiring some coaxing, in contrast to the palate that shows immediacy and full disclosure in its round, rich, enveloping quince, apricot and spice notes. 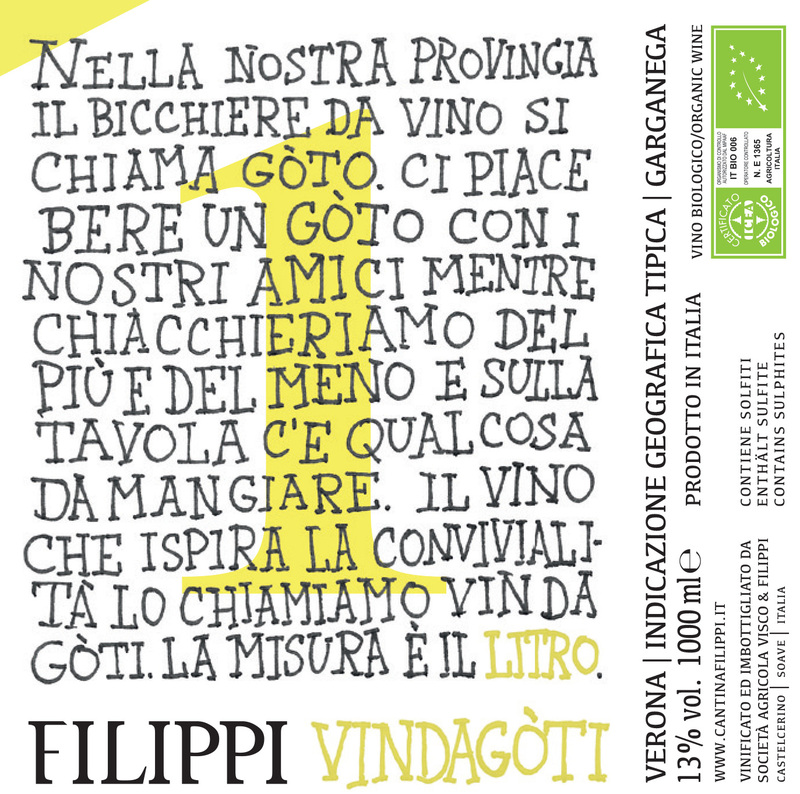 Filippo recommends this wine with white meats and aged cheeses. 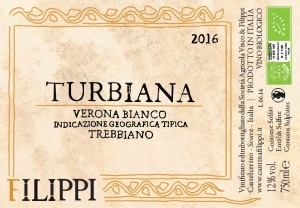 Turbiana IGT Veneto: A very limited production wine that is based on 100% Trebbiano grapes from Cantina Filippi’s highest vineyard at 400 meters. Forcing the vine to struggle in such poor soils, this rocky/sandy terrain produces very low yields. Fermented and elevated in stainless steel vats, this wine remains in contact with the lees for a minimum of six months before being bottled according to the biodynamic calendar. This wine is persistent and flavorful on the nose and palate with refreshing acidity and minerality. Pair with varied higher-toned cuisines, especially fish, citrusy dishes, and salads. Vin da Gòti: In Veneto dialect a gotò refers to the small, unpretentious glass out of which one drinks convivially with friends. 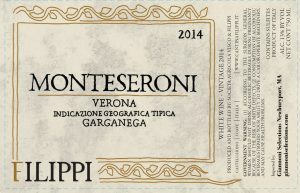 In a similar spirit, Vin in da Gotò is a liter of pure Garganega that blends Filippo’s crus planted to the varietal: Castelcerino, Vigne della Brà, Monteseroni, and Calprea. 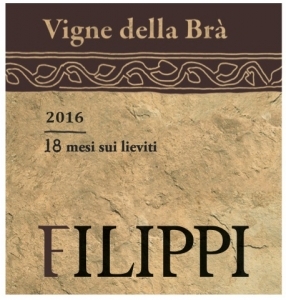 It gives drinkers the opportunity to taste of his lower-yielding, old vines of that uniquely represent Soave’s Colli Scaligeri without carrying the price of those more exclusive labels.